Five top acts have made the shortlist for the 2017 APRA Silver Scroll Award, recognising excellence in songwriting. Close Your Eyes by Bic Runga (written by Bic Runga and Kody Nielson). Green Light by Lorde (written by Ella Yelich O’Connor, Jack Antonoff, and Joel Little). Published by Native Tongue Music Publishing, Sony/ATV Music Publishing Australia P/L, EMI Music Publishing Australia Pty Ltd. Published by Native Tongue Music Publishing. Life of the Party by Chelsea Jade (written by Chelsea Jade Metcalf and Leroy Clampitt). Richard by Nadia Reid. Published by Kobalt Music Publishing. Having won the Silver Scroll Award in 1997 with Sway, Bic Runga is once again a finalist 20 years later, this time for her beautiful, energetic love song Close Your Eyes, written with partner Kody Nielson (Silicon, UMO, The Mint Chicks). A song about going your own way, finding joy in the little things, and love enduring through time, it presents Runga as potent as she’s ever been. Another past scroll winner (for Royals in 2013), Ella Yelich O’Connor and Joel Little are nominated once again for their latest world-dominating single Green Light. A cutting indictment of a past lover, which perfectly captures the chaos of post-break-up feelings, and the push and pull between the old and the new, it’s a bona-fide pop sensation. Aldous Harding has become an international sensation in 2017, capturing imaginations with her singular songs which cut through like a lightning bolt, and she is a welcome first-time finalist for her songHorizon. A spare, vulnerable track which finds impressive power in its simplicity, Horizon finds a way to spin gut-punching love into a song that feels brand new. Also a first-time finalist, Chelsea Jade is nominated for her hypnotic, subversive, delicate pop piece Life of the Party. The LA based artist (formerly of Teacups and Watercolours), manages to encapsulate the contradicting feelings of awkwardness and confidence in an intoxicating, joyful, yet low-key production. A fellow newcomer is Nadia Reid, with her fierce, haunting song Richard. The Port Chalmers native has also found herself in demand across the globe with the release of her second album Preservation, and Richard is a stand-out folk-rock gem with its wonderfully direct delivery, charting heartbreak and dissolution, through striking imagery. The APRA Silver Scroll Awards is considered one of the most coveted awards in New Zealand music and has previously been awarded to artists such as Ray Columbus, Hammond Gamble, Shona Laing, Dave Dobbyn, Don McGlashan, Neil Finn, Chris Knox, Brooke Fraser, James Milne & Lukasz Buda, Alisa Xayalith & Thom Powers (The Naked And Famous), Tami Neilson, Unknown Mortal Orchestra, and Thomas Oliver. As a part of the celebrations APRA will also be inducting a songwriter/s into the New Zealand Music Hall of Fame. All awards will be presented at Dunedin Town Hall onThursday 28th September. Radio New Zealand will broadcast and live video stream the APRA Silver Scroll Awards ceremony on RNZ National, Freeview Ch 50and online at www.rnz.co.nz/music. The awards will also be shared via the Student Radio Network (Radio One, RDU, Radio Active, Radio Control and 95bFM), and The Spinoff website (www.thespinoff.co.nz). Sky’s Rialto Channel 39 are also proud to broadcast the 2017 APRA Silver Scroll Awards on Saturday October 21 at 8.30pm. The awards are proudly supported by Panhead Custom Ales, Quartz Reef Wines, and NZ On Air. BATSM'Lady. Until 19 August. Hats will tip and shoes will tap in this all-singing, all-dancing satire of men’s rights activism and pick up artistry. When "nice guy" Elliot can’t win the girl of his dreams, G, a wannabe pick-up-artist, attempts to transform him into an irresistible chick magnet. Performed by an all-singing, all-dancing, all-female cast, M’Lady invites you to look beneath the fedora of feminism’s greatest nemesis. Red Scare Theatre Company returns after their celebrated production of Yellow Face to bring you M'Lady, a wickedly funny send up of the grossest guys you know. In The Wars. Until 26 August. Inspired by true war stories from New Zealand to Palestine and Iraq to Rwanda, In the Wars tells each story from an unexpected perspective with gravitas and humour, finding territories of courage and love in the heart of each conflict. We meet the ring that is resisting its pillager, the Barbie doll who's struggling under the weight of war torn rubble, the Afghan bomb-sniffer dog who has failed in her task and now needs a dog psychologist. Directed by award-winning Spanish Director Jorge Picó with original music by one of New Zealand's most celebrated composers, Gareth Farr, In the Wars will surprise, move and delight its audiences. Soft N Hard. 22-26 August. Gender is a performance, and we're all complicit. Join Jo Randerson and Thomas LaHood, the creative team behind Barbarian Productions, as they wrestle with the construction and performance of gender. Playing in an abstract and cliched world, watch Her and Him negotiate the boundaries of their constructed world. Brackets. 26 August. A monthly smorgasbord of queer entertainment - everything from plays to podcasts to poetry slams. All that’s best in queer performance, for and by the queer community. Brackets is our history told through performance – everything from plays to podcasts to poetry slams. We’re popping the lid on the dress-up box, dusting off our copies of Dykes to Watch Out For, and sitting at the feet of our favourite auntie to hear the stories she couldn’t tell us when we were younger. The Night Mechanics. 29 August- 9 September. A tale where water is no longer free, where dreams no longer exist. This is the future. Hine, reluctant to lead her people, battles to gain control from the corporate monster ’The Water Company’ - helmed by the powerful and maniacal Darren. The two women are poised for collision. Hine is forced to take action to stop Darren - and in doing so creates an unlikely alliance with a Woman of No Nation, a self appointed Mayor who seeks profit in poverty and a Preacher for the Corporate Monster. The Night Mechanics is inspired by the world today - the fight for clean water and tino rangatiratanga. A Doll’s House. Until 2 September. Nora Helmer has it all: a successful and attractive husband, a big house and two charming children. But as Christmas festivities get underway, events from the past return to wreak havoc in paradise. Nora’s life begins to fracture, leaving her trapped inside a web of secrets and lies… Will the truth set her free or is she in too deep? In the original play, Ibsen controversially exposed the power and gender dynamics of a marriage. This modern take, by celebrated New Zealand writer Emily Perkins, picks up Ibsen’s gauntlet and drops it into present-day New Zealand. Sophie Hambleton (Katydid, TV’s Westside) commands the stage as Nora. Directed by award-winning Katherine McRae (Cherish, The Enemy of the People), this production will shock and move you. Caging Skies. Until 9 September. Johannes, a zealous member of the Vienna Hitler Youth, discovers a fateful secret – his family is hiding a young Jewish woman, Elsa, in their home. Her life in his hands, Johannes and Elsa embark on a gripping journey of obsession and love that blurs the lines between the captive and the free, the victorious and the defeated, as the horrors of the war unfold around them and each must find a way to survive. From award-winning writer Desiree Gezentsvey (Nuclear Family) and visionary director Andrew Foster (Red) comes this hauntingly powerful story that lays bare the darkest corners of the human soul. What happens when children innocently embrace an ideological lie, when parents become afraid of their own children, when the lie takes on a life of its own? Michael Fowler Centre. Glenn Hughes played his last concert with Deep Purple on March 15, 1976, at Liverpool's Empire Theatre. On that night, the UK bassist and vocalist walked away from one of history's truly game-changing rock phenomena and never looked back — until now. For the first time in 40 years NZ fans will witness Glenn Hughes – The Voice of Rock and one of the finest hard rock singer/ musicians of his generation fronting a handpicked band live in concert, as he revisits some of Deep Purple's all-time greatest songs. Following his recent sold out North American and UK tours, pop icon Adam Ant is celebrating the 35th anniversary of the release of his landmark “Kings of the Wild Frontier” album with a newly-remastered reissue (Sony Legacy) and New Zealand tour. Adam will play the classic album in its entirety and in sequence. Magicians – Live on Stage. Come one, come all, and experience ‘magic’ like you’ve never seen it before. In this theatrical twist to a magic show you’ll meet the quirky, the skilled and the strange as you’re transported to the world of the impossible. Starring five of the greatest magicians on the planet, you’ll witness the unbelievable and experience true entertainment in this charming celebration of the ‘art-of-magic’. Dublin’s Irish Tenors & The Celtic Ladies. Two of Ireland’s best-loved groups Dublin’s Irish Tenors and The Celtic Ladies combine to present one beautiful concert tour of New Zealand this November. Moving tirelessly from opera to pop, jazz to classical, each member showcase their unique talents, from lively fiddling, to marvellous melodies, to perfected piano pieces. These two groups bring an excellent mix of traditional Irish tunes, adult contemporary and classical music. This contemporary retelling of the classic story captures the energy, passion and life-changing moments that have thrilled movie audiences since 1977. Now, a new generation of talented actors, singers and dancers meets a new generation of theatre-goers to explore the soaring sounds and pulsating rhythms of this coming-of-age disco fantasy. Indian Ink - The Pickle King. 24 August – 9 September. A comedy about love, death and preserves Rip the lid off a jar of utterly delicious theatre, bursting with wit, wonder and the faint whiff of death. Sasha, the blind receptionist of the crumbling Empire Hotel, knows she is cursed – everything she loves dies. But when true love finds her, she can’t help falling. One night, Death checks into the hotel. Belly laughs combine with throat-catching pathos to create a sophisticated modern fable that is “an intelligent and hilarious celebration of human resilience.” The Scotsman The Pickle King is Indian Ink’s most awarded play; winning an Edinburgh Fringe First, a record seven nominations at the Chapman Tripp Theatre Awards and the supreme accolade – Production of the Year. For our twentieth anniversary we’ve given this much-loved comedy a contemporary twist to tickle your taste buds. This timeless tale “offers humanity and psychological insight in a package of good plain laughs, luminous performances and brilliant staging.” Dominion Post. 25 August, Michael Fowler Centre. Hector Berlioz’s fantastical metaphysical drama La Damnation de Faust is neither opera, nor oratorio, nor song cycle nor symphony. Instead it thrives in the theatre of the imagination, creating a magical world of dancing sylphs and demonic devils in technicolour musical detail. British tenor Andrew Staples' recent performance in the title role was described as ‘an absolute revelation’. Undoubtedly one of the greatest bass-baritones in the world, the award winning Eric Owens will perform the intoxicatingly demonic role of Méphistophélès. Mezzo-soprano Alisa Kolosova joins this extraordinary cast as Marguerite. With the beautifully resonant bass of James Clayton as Brander and the acclaimed New Zealand Opera Chorus, this extraordinary, once-in-a-lifetime event must not be missed. The Ryman Healthcare Season of Romeo and Juliet – WORLD PREMIERE. St James Theatre. Francesco Ventriglia creates a new version of the world's greatest love story, especially for the Royal New Zealand Ballet: the company's first new production of Romeo and Juliet since 2003. Inspired by Franco Zeffirelli's classic 1968 film, this will be a hot-blooded, passionate re-telling of Shakespeare's play that is sure to resonate with lovers of dance, drama and pure romance. Oscar-winning designer James Acheson (The Last Emperor, Dangerous Liaisons, Restoration) will bring Renaissance Verona to life in all its vitality and splendour, from the blazing battles of the Capulets and Montagues to the lovers' heart-breaking youth and beauty. Prokofiev's instantly recognisable score will be performed by Orchestra Wellington. One night only variety show of 16 acts and 70 performers (almost all Wellingtonians). This 2-hour show takes the audience through an epic ride from hula hooping, magic, aerial circus, opera, kapa haka, burlesque, comedy, contortion, poetry, drag, magic, vaudeville, music, contemporary dance, jazz singing and more. The Menagerie is bringing bawdy, risqué and modern variety back to the Wellington Opera House. 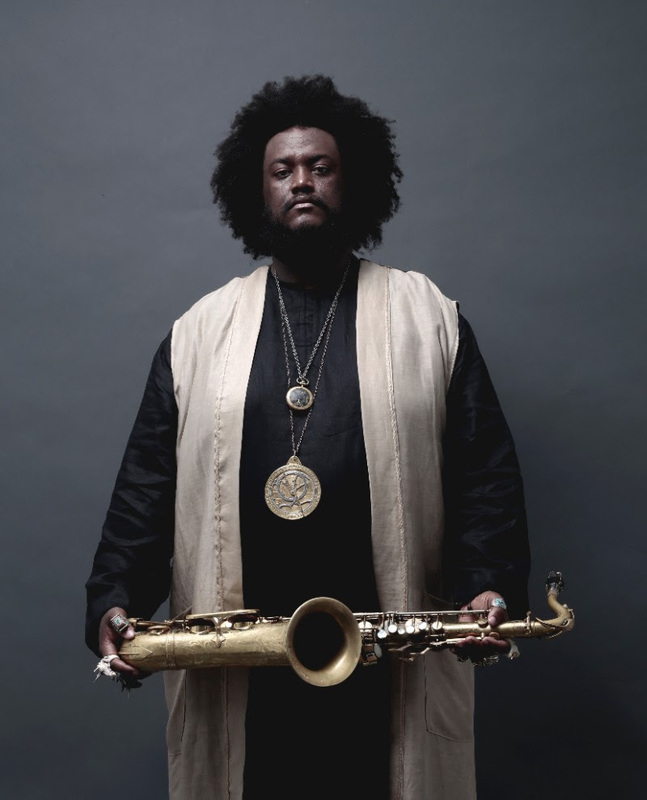 Music titan Kamasi Washington’s new EP Harmony of Difference, the first new music from Washington since his universally acclaimed 2015 debut album The Epic, will be released on September 29th via Young Turks / Rhythmethod. Harmony of Difference originally premiered as part of the Whitney Museum of American Art 2017 Biennial alongside a film by A.G. Rojas and also featuring artwork by Kamasi Washington’s sister, Amani Washington. The new music is an original six-part suite that explores the philosophical possibilities of the musical technique known as “counterpoint,” which Washington defines as “the art of balancing similarity and difference to create harmony between separate melodies.” Beyond the artistic impulse to expand the possibilities within counterpoint, Washington wanted to create something that opened people’s minds to the gift of diversity. Each of the first five movements is its own unique composition. “Truth,” the sixth movement, fuses all five compositions into one simultaneous performance. Echoing this fusion, Amani created five paintings focused on raw shapes and colours, each inspired by one of the first five movements of the suite. Amani then combined these paintings to create a sixth: an abstract depiction of a human face. The film, directed by A.G. Rojas, brings the metaphoric ideas found in both the music and paintings to life. While still quite abstract, it focuses on the harmony found in people from South Central and East Los Angeles and shows the beauty in their differences. 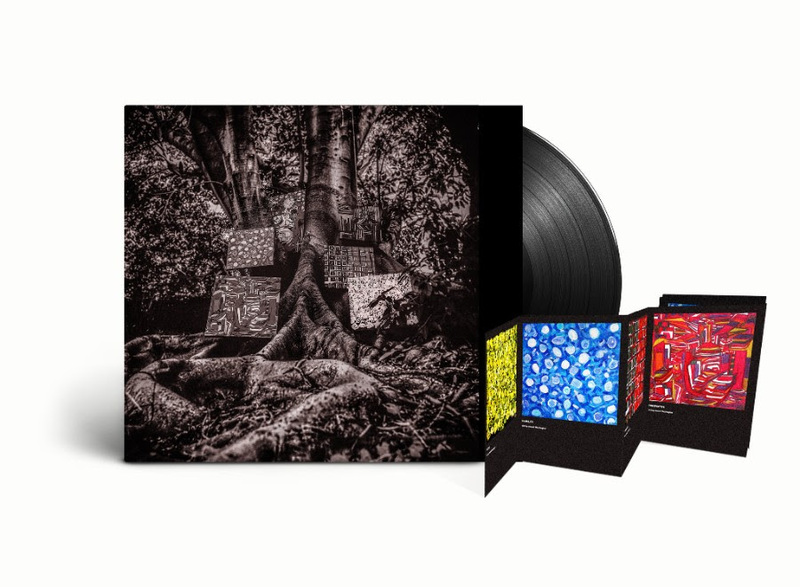 Harmony Of Difference will be available on all digital services, as well as on 12” vinyl with a 14-page concertina booklet featuring original artwork by Amani Washington and still images from the film by A.G. Rojas on September 29th. This might be Mill's best yet. It's a hilarious and sometimes kinda surreal exploration of power and collector fanaticism, flavored with some really, really good records. Now we've sort of been in this place before. Nick Horby gave us Hi-Fidelity, the book about music and obsession. This is sort of like this. There's a quick succession of bickering, desertion, subterfuge and rivalry all wrapped up in a relationship between two men with a passion. In this case the passion is for vinyl records. 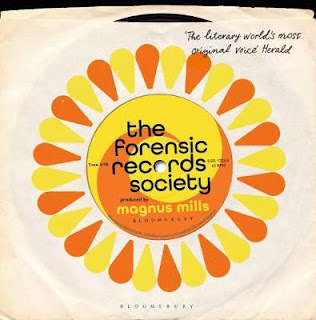 They decide to create a society for the appreciation of fine records records. Their mandate is simple enough. To elevate the art of listening, approaching it with forensic detail. CSI for music appreciation, if you will. Initially the 'society' enjoys some moderate success in the back room of their local boozer. It starts the way most clubs do - over a pint and some onion and cheese crisps, with other keen punters drawn by the promise of the weekly gathering to talk vinyl. The strictest of rules are enforced, limiting attendance to only the purist musical appreciators and soon a rival society is founded with a much more open and broad appeal. But as the club gains popularity, its founder's uncompromising policies and attitude result in a schism of sorts and breakaway groups start to form. Then we get the arrival of a young lady, Alice, who causes further fractures. The vulnerable society breaks ups, rifts are forged, chasms widen. And Mills goes to work examining the surreal nature of these ordinary lives. This is partly familiar as we all know of clubs and groups with their own cliche's and countercultures - the originals and the breakaway factions. Every sport or society or recreational pursuit has a story to tell. Mills' tell his as the master of the comic deadpan luring you in with tales of the ordinary to make you comfortable before draping a cloak of awkward familiarity over your shoulders. Trying to identify the tracks played at meetings from their titles alone was also a bonus. TG for youtube because I do't still have the luxury of rifling through a massive collection of old 45's. It's no wonder that this his ninth novel is so good. He's had the practice. His style is unique and is always an absolute pleasure. The strictest of rules are enforced, limiting attendance to only the purist musical appreciators and soon a rival society is founded with a much more open and broad appeal. And thus the scene is set for a classic Mills tale. As always, he manages to keep his novels deceptively and deliciously subtle. The 'Englishman' is at play here I think. Talk soft and stab hard with a simple premise to guide us to a comedy of protocols and manners. His prose hints at a deeper meaning that is never made implicit. This could be about fanaticism as I indicated above. Then it could be a religious adherence to perceived truth or the dangerous power of cults and the frailty of human nature. Or it could be just about about groups of music lovers getting together of an evening for an audio love-in. No doubt the local Dungeons and Dragons club has the same issues, yes? 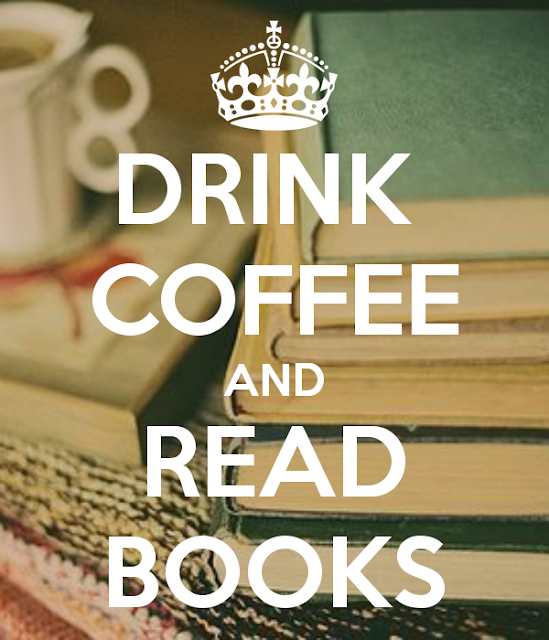 On the whole, it's a thoroughly enjoyable read. 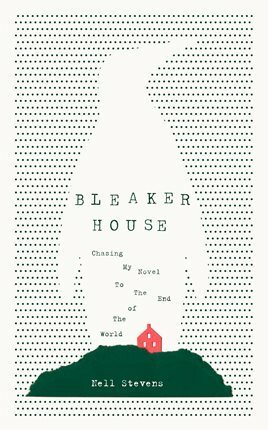 A whimsical blend of memoir and travelogue, laced with wry and indispensable writing advice, Bleaker House is a story of creative struggle that brilliantly captures the self-torture of the writing life. Twenty-seven-year-old Nell Stevens was determined to write a novel, but somehow life kept getting in the way. Then came a game-changing opportunity: she won a fellowship that let her spend three months, all expenses paid, anywhere in the world to research and write a book. Would she choose a glittering metropolis, a romantic village, an exotic paradise? Um, no. Nell chose Bleaker Island, a snowy, windswept pile of rock in the Falklands. There, in a guesthouse where she would be the only guest, she could finally rid herself of distractions and write her 2,500 words a day. In three months, surely she'd have a novel. And sure enough, other than sheep, penguins, paranoia, and the weather, there aren't many distractions on Bleaker. Nell gets to work on her novel—a delightful Dickensian fiction she calls 'Bleaker House' —only to discover that an excruciatingly erratic internet connection and 1100 calories a day (as much food as she could carry in her suitcase, budgeted to the raisin) are far from ideal conditions for literary production. With deft humor, the memoir traces Nell's island days and slowly reveals details of the life and people she has left behind in pursuit of her art. They pop up in her novel, as well, and in other fictional pieces that dot the book. It seems that there is nowhere Nell can run to escape herself. With winning honesty and wit, Nell's race to finish her book slowly emerges as an irresistible narrative in its own right. Original, funny and entertaining in all the right ways. On a cold winter’s evening in 1977, the Russian engineer approached a car at a gas station in Moscow and handed a note to the driver — the chief of the CIA’s Moscow station, as it happened. 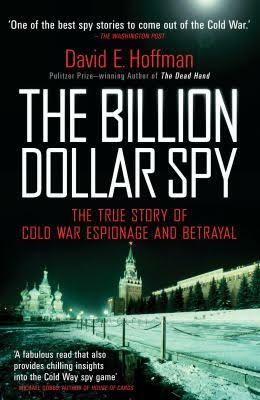 “In the note, the man said he wanted to ‘discuss matters’ on a ‘strictly confidential’ basis with an ‘appropriate American official,’ ” David E. Hoffman writes in his riveting new account, “The Billion Dollar Spy: A True Story of Cold War Espionage and Betrayal.” Unfortunately, the CIA wasn’t keen to accept the offer, fearing a KGB trap. 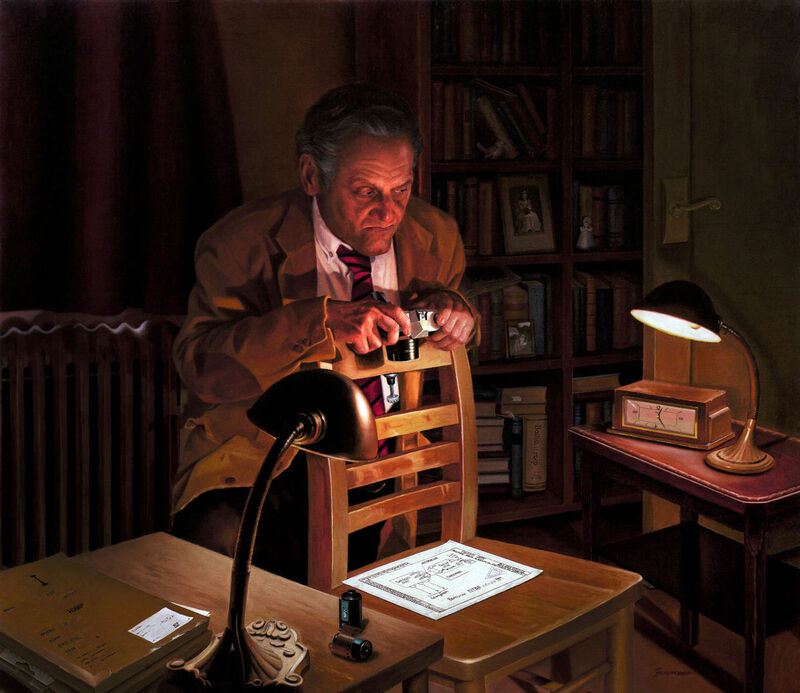 Tolkachev, who worked in a top-secret Soviet design lab, persisted, though, and two years after that first failed approach, he finally met a CIA case officer and began providing more information than the agency had dreamed of getting. Think of him as the spy who forced his way in from the cold. Tolkachev’s motives for betraying his country were complicated, as Hoffman reveals, but his explanation at that first meeting was laconic. He was, he said, “a dissident at heart.” He was also, it turned out, a dissident with valuable information. “Tolkachev was providing a road map to the United States for compromising and defeating two critical Soviet weapons systems: the radars on the ground that defended it from attack, and the radars on warplanes that gave it capacity to attack others,” Hoffman writes. “This was an incomparable advantage in the Cold War competition.” In time, Tolkachev’s information saved the U.S. government more than $2 billion in research and development costs. Not especially interested in poignant details like those? No worries. “The Billion Dollar Spy” has enough spy gear and contretemps — including spy cameras, cyanide pills and clandestine meetings on dark, abandoned Moscow streets — to drive a summer’s worth of blockbuster movies. And Hoffman, a contributing editor at The Washington Post and a correspondent for PBS’ “Frontline,” knows how to make a nonfiction book as suspenseful as a John le Carré-penned thriller. In fact, Tolkachev’s information helped the United States enjoy “almost total air superiority over Soviet-built fighters for more than two decades,” Hoffman writes. That’s pretty impressive for a dissident engineer whose espionage offers were rebuffed for two years. Colm Tóibín has ventured to ancient Argos — far from the decorous, restrained worlds of Henry James, coastal Ireland, and mid-20th century Brooklyn we've seen in his earlier books — in this heart-stopping novel based on Clytemnestra's family tragedy. Although he's taken some of his familiar, familial preoccupations with him — including strained family dynamics — House of Names is a surprising turn for Tóibín, a violent page-turner about the mother of all dysfunctional families and the insidious ravages of revenge and distrust. He has borrowed the main characters — Agememnon, his wife Clytemnestra, and their three children, Iphigenia, Electra, and Orestes — from the ancient Greeks, and re-animated their tragedies with intimate sagas of suffering you didn't hear from Aeschylus, Sophocles, and Euripides. Curiously, Tóibín hasn't attempted to update the classics by fast-forwarding centuries — as Eugene O'Neill did in Mourning Becomes Electra, his retelling of Aeschylus' Oresteia, set in New England in the 1860s. Nor does he seek modern relevance by drawing explicit parallels to our times. 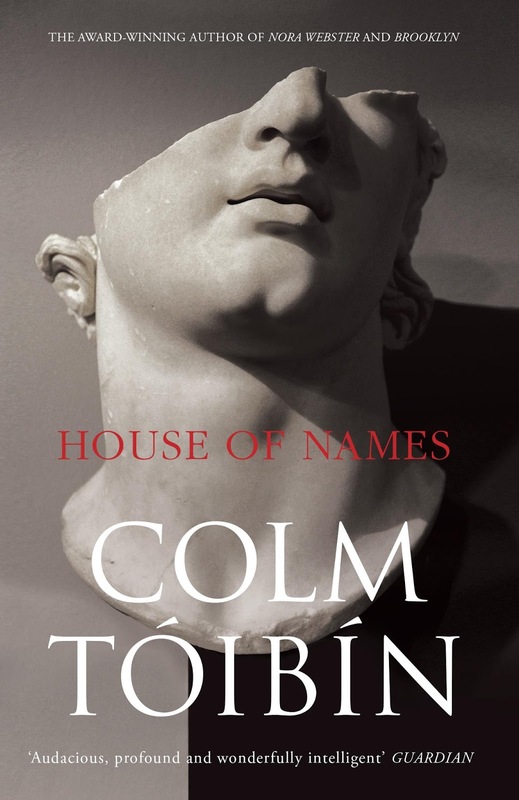 House of Names is set firmly in ancient Greece, but in Tóibín's take, the power and influence of the ancient gods is on the wane, and with Christ still centuries off, there's a dangerous void in the sphere of divine influence on the affairs of mankind. As in Aeschylus, the cycle of revenge vendettas are not struggles of right against wrong, but part of an inexorable, weirdly logical chain of atrocities. What's different in Tóibín's novel is that this savagery is driven not just by Fate and the Furies, but in large part by psychology. In visceral, accessible language, Tóibín brings us close to the members of the house of Atreus — who, in the absence of gods, bear responsibility for their actions. What's the worst tragedy that can befall a mother? Tóibín makes us feel Clytemnestra's anguished pain and outrage when her husband sacrifices their 16-year-old daughter Iphigenia to the gods in the hopes of favorable winds for his warships. Livid, she enlists the aid of wiley Aegisthus, her new bedmate, to plot her revenge. (There's already plenty of bad blood between Agamemnon and his cousin Aegisthus, but Tóibín wisely avoids diffusing his intense tale with too much backstory.) Upon Agamemnon's triumphant return from Troy, Clytemnestra greets him with a warm bath and sharp knife to the throat. Although Orestes is one of few characters left standing at the end of the book, his fate is no less tragic than that of his parents and sister — and even worse than Hamlet's, for it takes years for him to learn about his father's death. Why years? Abducted by Aegisthus' minions, Orestes escapes his evil keepers with two other kidnapped boys, who grow into manhood together on an old woman's remote seaside farm. The lost boys' trials and tribulations — Tóibín's fabrications — are among the most vivid scenes in the novel. As in the Greek sources, Orestes gradually realizes that he must avenge his father's death by killing his mother. But part of Orestes' tragedy is that he operates on partial — and often inaccurate — knowledge. In a palace of dark corridors filled with shadowy guards whose allegiances are unclear, he doesn't know whom to trust. His angry sister Electra, intent on her own revenge and power grab, is little help. Tóibín plays all this with sinister mastery. He channels the female characters directly, while Orestes' point of view is delivered in a tight third person narrative. Clytemnestra's chilling first lines, following her murder of Agamemnon, drip with sang-froid: "I have been acquainted with the smell of death ... It is easy now for me to feel peaceful and content." The violence is staggering, with people thrown into dark dungeons for days without food or water, throats slashed, heads bashed. Turning pages with pounding heart, I wondered if I could have connected this book with Tóibín if his name weren't on it. I don't think so — despite some telltale signs, including the fraught family baggage, circumspect homosexuality, and themes of loss, exile and return. 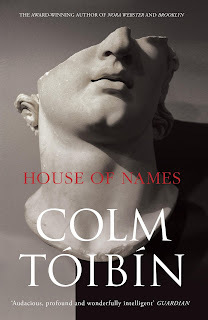 But House of Names works because of the empathy and depth Tóibín brings to these suffering, tragically fallible characters, all destined to pass on "into the abiding shadows" — yet vividly alive in this gripping novel. That’s what Mike Love’s grandfather always used to say. Seems like an appropriate place to start the life story of one man who’s not only used the state as song fodder for over 50 years but also made a career out of exploiting its good vibrations. In rock history, there probably isn’t a more divisive figure than Mike Love, who’s fronted the Beach Boys for the entirety of the band’s existence. Some fans will find almost any fault with him, from the way he sings, to the way he dresses, to all of the alleged abuse he’s doled out to his cousin Brian Wilson over the years. Sometimes it seems like the only person who sees Mike Love as a hero is Mike Love, while the rest of the world sees him as a villain. Given the chance, Love would probably say the same about his whole life. Now, he attempts to set the record straight with his side of the story, something that fans historically weren’t, and aren’t, willing to hear. Within the pages of his book is much braggadocio, fanfare, and loftiness, but also a surprising amount of humanity. He fesses up when he was wrong, and he gives readers a glimpse behind the scenes on what it was like to be semi-sober in a band — and family — riddled with drug addicts, controlling personalities, and bad business moves. “…One of the secrets to his genius: simplicity camouflaging complexity,” Love continues, talking about Wilson’s musical abilities. Ironically, he treats his own musicality like nothing less than a prodigal gift, even though including many of his lyrics here draws attention to their own simplicity. Not to mention that he’s once again extolling the virtues of “alliteration” when he really means another device like internal rhyming… or nothing at all. 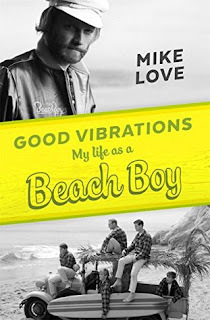 The overarching theme of his memoir’s 400-plus pages is Love’s struggle to right the most heinous wrong of his life: the lack of credit for some of the Beach Boys’ biggest hits. He explicitly recounts the time spent penning lyrics to beloved tracks like “California Girls,” “Surfin’ USA,” and more, attempting to persuade the reader to his side instead of accepting the herd mentality that Brian Wilson is the genius and he’s just a frontman. To be fair to Love, however, he does accept and even prides himself as his role as the most “business-minded Beach Boy,” often delineating the all-important relationship between “art and commerce,” a phrase that’s tossed out many times. His work ethic is never called into question, as he’s the only Beach Boy who’s been continuously hitting the ol’ dusty trail since the early ’60s. Nothing is off limits for Love; he addresses dalliances with Charles Manson and his Family, including the now much-publicized incident when Dennis Wilson shakily confessed he saw Manson murder a man and stuff his body in a well. He doesn’t pull punches on how he really feels about Beach Boys’ bandmate Al Jardine (“prickly,” “rude,” entitled”) or Brian Wilson’s wife, Melinda. He gives credit where credit is due, praising Carl Wilson, who, he says, was really the musical backbone of the Beach Boys from 1967 onward. And he’s actually — gasp! — likable at times when writing about his personal life, many failed marriages, and his attempt to rectify neglect of his kids by creating a familial atmosphere down the line. After that experience, Love’s spirituality becomes a major character in the book. He credits it for keeping his head on straight amid death threats, lawsuits, stressful tours, and the general hate he receives from Beach Boys fans on nearly a daily basis. Practicing transcendental meditation has, more than anything, provided him with the escape into his true self that he’s ostensibly been searching for his whole life. How does a city make a writer? Described by Fiona Kidman as a ‘ravishing, immersing read’, A Strange Beautiful Excitement is a ‘wild ride’ through the Wellington of Katherine Mansfield’s childhood. From the grubby, wind-blasted streets of Thorndon to the hushed green valley of Karori, author Redmer Yska, himself raised in Karori, retraces Mansfield’s old ground: the sights, sounds and smells of the rickety colonial capital, as experienced by the budding writer. Along the way his encounters and dogged research – into her Beauchamp ancestry, the social landscape, the festering, deadly surroundings – lead him (and us) to reevaluate long-held conclusions about the writer’s shaping years. They also lead to a thrilling discovery. 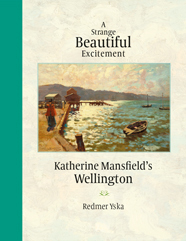 This haunting and beautifully vivid book combines fact and fiction, biography and memoir, as Yska rediscovers Mansfield’s Wellington, unearthing her childhood as he goes, shining a new lamp on old territory. I know writer Fiona Kidman well. So when she describes a book as 'ravishing, immersing..." I'm inclined to believe her. Wellington born scholar and writer Redmer Yska has an eye, or should that be 'feel', for what makes the soul of a city. In one sense Katherine Mansfield was always going t be an easy choice because Mansfield's writing is so ingrained in the blood of the Capital. As an historian he has a perfect fascination with what it was like to walk in our beloved writer's footsteps. So this book is very much about that journey - or journey's. Young Miss Beauchamp came from a privileged but decidedly down to earth family who traveled as much as possible around her city and further abroad. Her wanderlust eventually took her to England and to Europe, as we know but her earlier excursions were clearly the inspiration for her stories. So we get glimpses into her city (or town, as it was then). The neighbors, the way they dress, some backstories and some approximation of life as it was in a burgeoning colonial city. 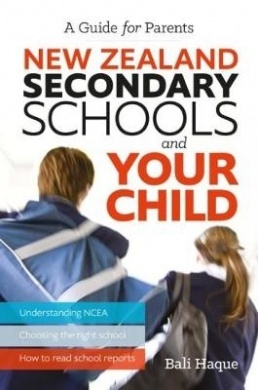 Kathleen Beauchamp, through Yska's writing is firmly set in her raw, vibrant, energetic Welly-town. Put in her pen, 'the singular charm and bareness of that place.' The book starts with a trip to Karori School (Karori Normal School) to visit a very humble bird bath, in memorial to Mansfield. This is something of a touchstone, that unravels the process of the suburb's most famous resident as she constructed the story that began with the working title At Karori and eventually became The Doll's House. Yska chooses to weave his own 'Karori' experience, growing up in the area. He talks about the school house that's fictionalized in her story and the huge pine tree that also features, for real, in the playground. And from there we deep dive into the place, learning about the minutest details and how they feature. We learn of people that lived close by when the bird bath memorial was opened in 1933 and many other 'lost' facts that contribute to the untold stories behind her stories. I love that. This is what brings the legend and the fiction of Mansfield to life with almost day-glo vibrancy. Much of the narration follows a style I got used to when I took a number of walking tours around Cambridge and Oxford during my OE. They were books that encouraged me to take a few steps, look up, or down, left, or right and observe a feature - then read the backstory and contemplate what I was looking at. This is how it goes in Yska's book, too. Not exclusively but it does use the formula that weaves contemporary landmarks like the American Embassy in Thorndon with forgotten features such as the springwater outlet in Grant Road (now hooked up to the mains, alas). This was only the start, the book dives into letters between a young Kathleen and her cousins, and other correspondents. And, even more fascinating, it looks at the influencing literature of the day. 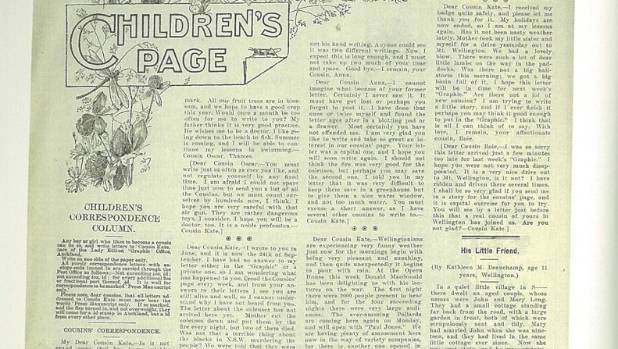 He goes deep into the bowels of Wellington's Public Library to find pages from the New Zealand Graphic's Children's Pages, from the 1910's and 20's and cartoons, etc. this all shows us what and did influence the way she spoke and wrote. He also found two of her earliest letters. Again, the deep dive into the soul of her city. This is a Pokemon game for book lovers. But what I'm really excited about is Yska's discovery of her published story His Little Friend which appeared seven years earlier than the publication of Vignettes in the Native Companion (Melbourne) in 1907, which was previously thought to be her earliest story published outside school magazines. The discovery of the story His Little Friend is at the heart of a new book on the life of the young Katherine Mansfield by Wellington author and historian Redmer Yska, who made the find while researching in the archives of the Wellington City Library. 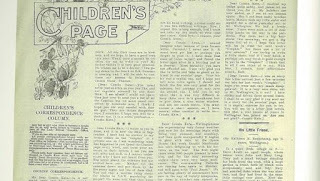 Previously unknown to Mansfield’s modern readers and scholars, the short story, by the 11-year old Kathleen M. Beauchamp, was published on the Children’s Page of the New Zealand Graphic on 13 October 1900. It is reprinted in full in Yska’s new book, along with a well earned yarn about how it was discovered. For an 11 year old it's a very astute and well written piece. Almost a little precocious but a wonderful insight into who she was to eventually become. I've only started to explore this book but I'm prepared to say, even now that this is quite possibly the most intimate and approachable book on our most famous daughter. A Strange Beautiful Excitement is a delightful and engaging intermingling of fact, fiction and biography that fleshes out the colonial cityscape that influenced Mansfield during her youthful years. It delves into previously untold aspects of her childhood, ancestry and social surroundings. One of Yska's drivers was to biography her 34 years in New Zealand. Many British writers only start to notice her when she lands in the UK but her connection to the land here is undeniable, as it was when she wrote about 'home' when abroad As a Wellingtonian, if you didn't feel you owned her before, than you will now.